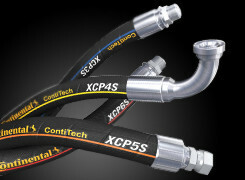 Continental ContiTech is a market leader in industrial hose and serves several different markets in the industrial hose industry. 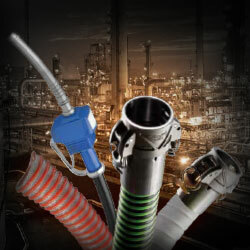 Continental ContiTech will enhance your organization’s material transfer performance with a wide variety of industrial hose, hydraulic hose, hose fittings, and hose accessories. ContiTech is a hose brand that you can trust, one that stands for reliability and striving for your complete satisfaction. Anderson Process is an authorized ContiTech STAR Distributor! 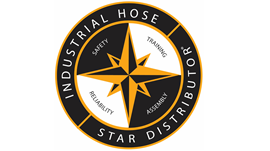 The Continental ContiTech STAR Distributor Network sets the standard in hose assembly services. Each distributor is verified by Underwriters Laboratories, Inc., able to supply any location across North America and each adheres to NAHAD and ARPM / RMA guidelines, providing a consistent level of quality you won’t find anywhere else. As a part of the STAR Distributor Network we can offer our customers the Continental ContiTech Hose Trakker 2.0 online service powered by InfoChip, which is a serial number-based hose tracking system used to track hose details, manage ongoing maintenance and testing of hose assemblies to keep production running. Maximize your power transmission dollar. 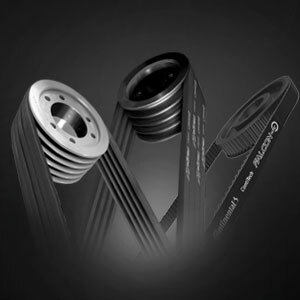 Continental ContiTech rubber compounded PT belting delivers lasting performance and value with every power transmission belt installed. From our premium, lower noise Falcon Pd® and SilentSync® synchronous drive systems, to our full lineup of V profiled products, to our MaximizerPro™ drive analysis software, we seek to make your business more profitable by reducing your downtime and energy consumption.